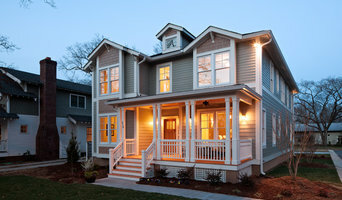 Welcome to Concept 8 LLC, a unique partnership of real estate development, design, and construction expertise in the Raleigh area founded in 2012. We provide clients with full-service general contracting through the design-build process, bringing experience and aptitude to every stage of real estate and project development. Concept 8 is the one-stop-shop for clients seeking a thoroughly-streamlined and concerted real estate development experience. We provide design-build expertise to develop ideas into reality through design development, innovative planning, concise budgeting, full service construction, and impeccable finishing. Our process enables the aesthetic and functional design of a project to be weighted with actual cost control, delivering efficiency in project planning that saves our clients both time and money. B&D Blue Water Builders was founded in 2005 by Bryan Garska, a veteran of the residential contracting industry with nearly three decades of experience in carpentry, framing, historic renovation, kitchen and bathroom remodeling, and much more. Our company is fully licensed and insured for residential and commercial contracting in North Carolina, and we have been honored as one of Raleigh’s best up and coming remodeling companies in both 2011 and 2012. We are proud to offer full-service interior and exterior home remodeling and renovation services with a special emphasis on acting with integrity, and our owner personally oversees every project to ensure we achieve the highest levels of accuracy and quality every time. We charge a $75 fee for estimates. This estimate consists of our project manager coming to the site, creating a detailed and accurate bid, and finding what will maximize your budget. 100% of this estimate cost will be deducted from your invoice at the end of the project. This will ensure that you have the highest quality of work with no financial surprises. 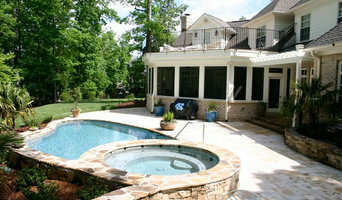 Raleigh based remodeling company, focused on customer service. Specializing in interior and exterior remodeling projects, including decking, and screen porches. Founded in 1994 by Steven Kjellberg, KJ Construction, Inc has not only been a leader in building distinctive custom estate homes, but also a dependable remodeling builder of all sized jobs from screened porches to $400,000+ whole house renovations. Every project has its own unique set of circumstances, whether it be health issues, budget or a time frame, and that is where KJ Construction, Inc. sets itself apart from the competition. We have award-winning architects that work with us to not only capture the flow and design of the home, but also to maximize the site conditions to properly take advantage of the topography and the exposure of the sun, creating a project that is equally as impressive on the outside as it is on the inside. Between the team of hand picked subcontractors and our in house carpenters and painters, we feel we can control the quality and cost of the project, as well as the time frame, better than anyone. Materials from detailed interior and exterior trim, top-of-line doors and windows, to high quality green energy saving features such as insulation, geo-thermal mechanical systems and energy management systems are used on all of our homes. Our greatest priority is building a relationship with our customers that far outlasts the construction process. After all, building someone’s dream is a very personal endeavor that works best if the builder/homeowner relationship is built on trust and a level of integrity that we guarantee to bring to work every day. There are no surprises with KJ Construction, Inc. – only personal attention to the details, enthusiasm, integrity, and a hands-on work ethic second to none. The Davenport Anderson Homes team is a small, local group with diverse backgrounds. We've come together through our common passion, interest and vision for all levels of residential real estate, including design, building and renovations. Our goal is to create quality and unique homes, to offer affordability without compromising on design, and an overall fun experience for our clients. We want you to truly love your new home or renovation for years to come. When you decide to build or remodel your home you’ll need a personal approach that compliments a dependable and qualified contractor. It is critical that a builder listen to your desires, have a keen eye for the details, be attentive to your priorities and budget, and communicate effectively during the process. 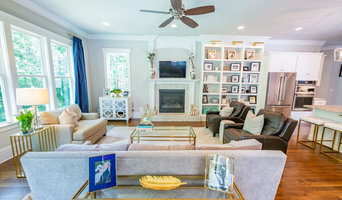 Taking pride in your home just as if it were her own, Nicole Goolsby, owner of Red Ladder Residential and a mother of three, brings a unique perspective to each of her personalized design build projects. Her experience, education, and hands on approach makes us the premier choice for any of your home’s construction needs. Red Ladder will transform your “one of a kind home” so it is not only a delight to live in today, but also a solid investment for the future. Client focused design/build company with a focus on major renovations and custom homes. Redefined Concepts, LLC, is a Raleigh, NC. home remodeling and repairs company. Whether you are about to tackle a bathroom renovations, painting, drywall, carpentry, windows, doors, flooring, home improvement projects that can enhance the value of your property. And improve the quality of your lifestyle. We help people just like you redefine concepts tailored to meet your needs and individual requirements. Helping them create a balanced living space. We are a fully licensed and bonded remodeling company with over 40 years of combined industry related experience. Our network provides you with some of the most talented and skillful tradesmen, all located within the Raleigh North Carolina Area. Our mission is to help provide peace of mind throughout the entire design and build process. Simplifying your role and refining your space to suit your lifestyle and needs! General Contractor who does new home construction and home remodeling, specializing in horse barns.